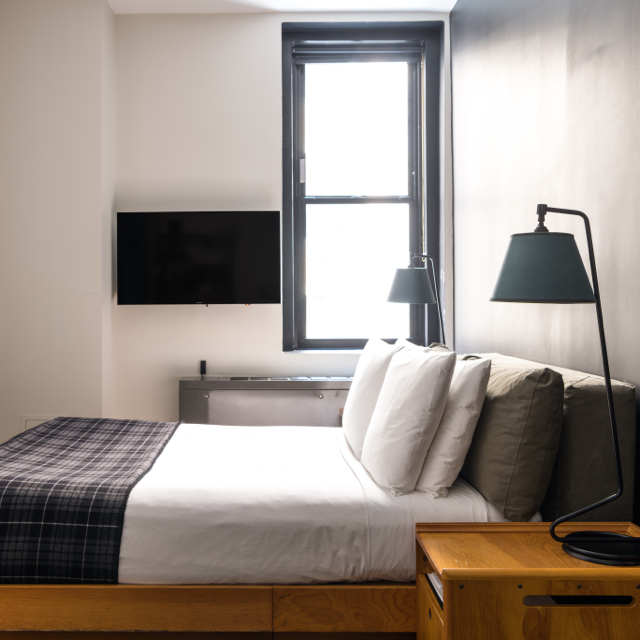 After some years making a name for itself on the West Coast, the Ace brand arrives in the East, with a New York outpost on Broadway at 29th Street. 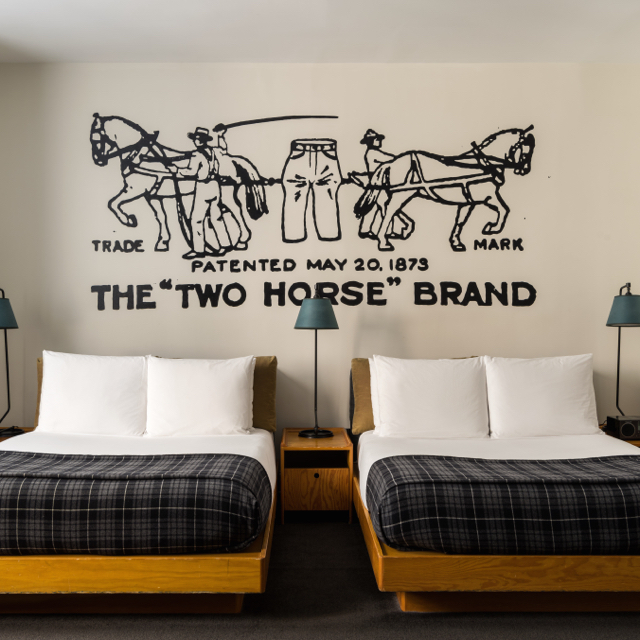 And, as you’d expect, this one is a little bit different from other New York hotels. Start with the location: while you’re in the middle of Manhattan, and thus about three seconds from basically anywhere, this particular section of Broadway in the upper 20s is off most tourists’ radar, and most property developers’ as well. 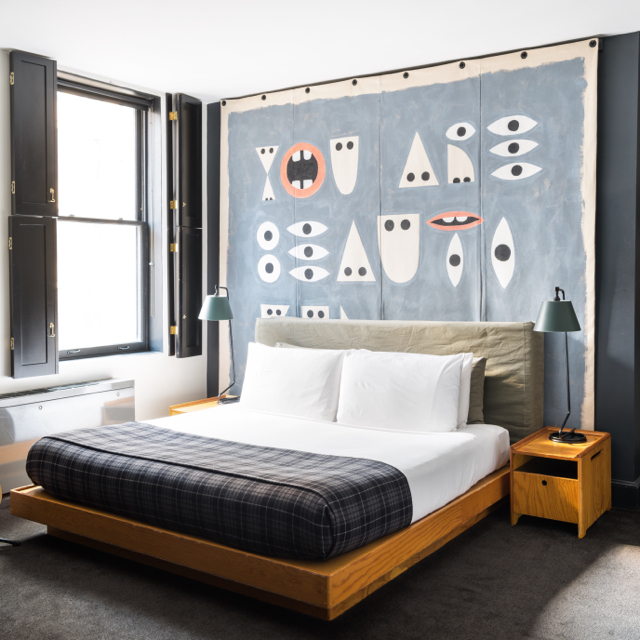 This is one way the Ace Hotel New York manages to stick to its budget-friendly price point, and makes for a bit of colorful street life as well. 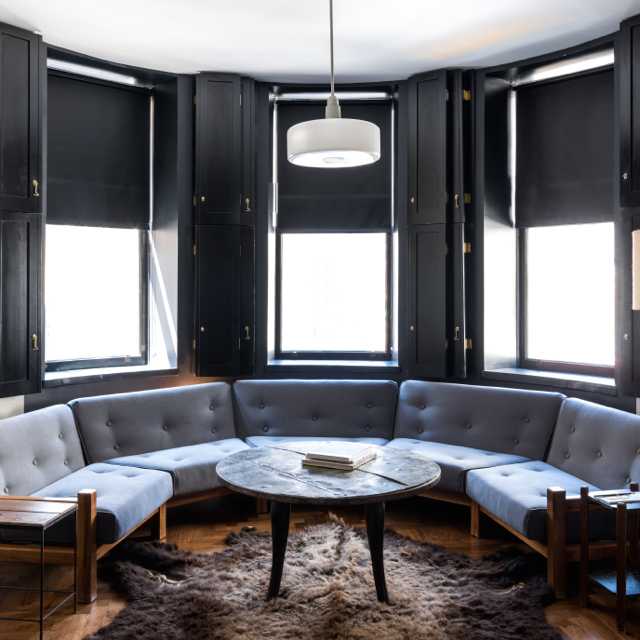 Pains have been taken to ensure that the Ace retains a bit of atmosphere from its SRO-hotel past. 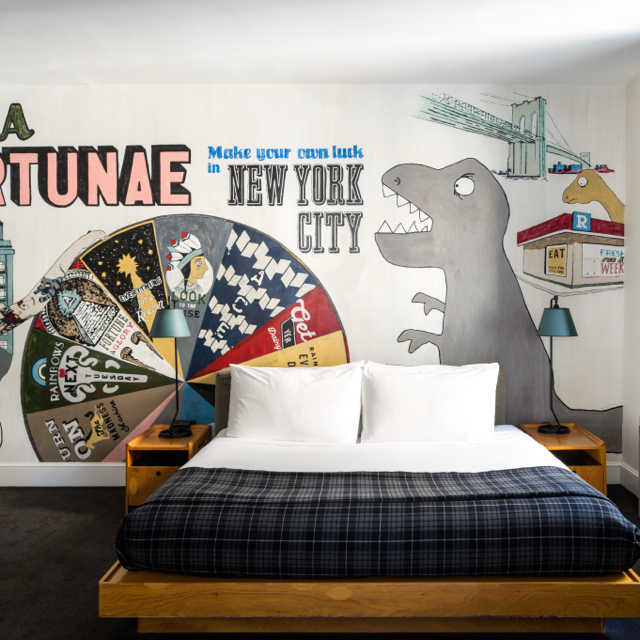 This is a grittier and less polished take on the boutique hotel, something quite a bit less glossy and aspirational than the Schrager version of decades past. Here you’ll find surplus and salvage furnishings along with vintage turntables (complete with vinyl library) and, in some rooms, a few well-chosen high-end items — Smeg refrigerators stocked with a decent selection of food and drinks certainly come in handy, as do the iPod hookups for those of us who have gone digital. 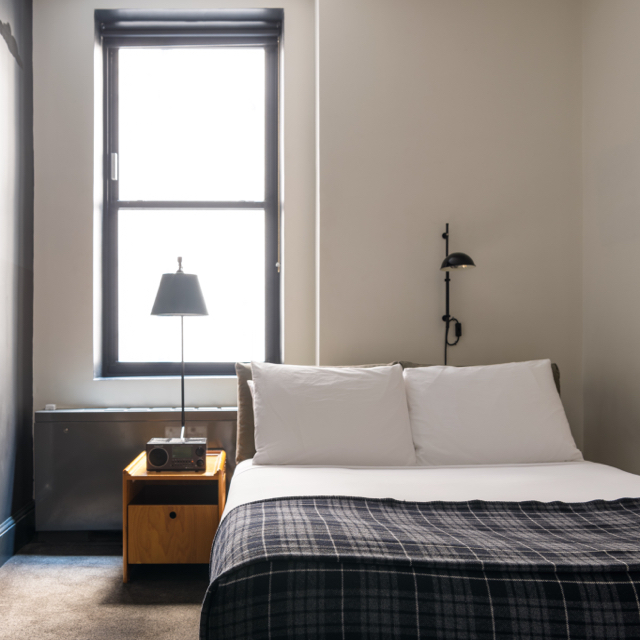 The funky, minimal décor underlines the point that the Ace has more in common with apartment life than with the traditional hotel experience. 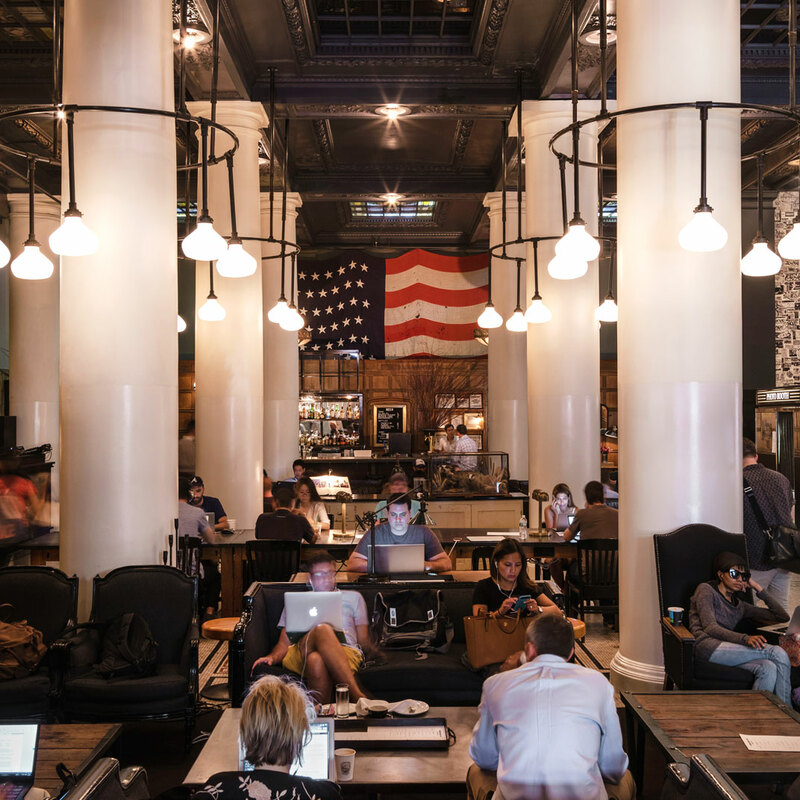 The lobby bar is a hot ticket every night of the week, as is the Breslin restaurant, something of a sequel to the West Village’s very fine Spotted Pig — meanwhile Stumptown is a big upgrade to the New York coffee scene, and the John Dory is the oyster bar with the corner view onto Broadway. Who’s it for? The prices certainly aren’t off-putting, and the audience is thus a bit broader than you’ll find in New York’s pricier boutiques. It’s fair to say the Ace caters to real live creative types — anyone from freelancers paying their own way to rock bands accustomed to North Jersey motels. 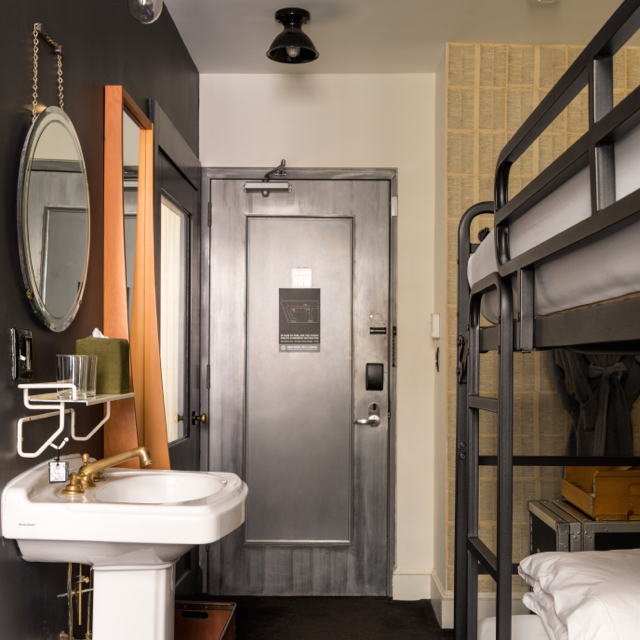 The following rooms can accommodate one rollaway bed for an additional USD $45/per night plus tax: Medium, Medium King, Large, & Loft. For guests traveling with pets, there is a $25/day cleaning fee. This will be added to bill at check-in/out. Views: courtyard, partial courtyard, street or city. Views: courtyard, street, partial street or city.